Normal wear and tear because it's a used piece. Rip repair shown in last photo. Keep you dry. Best of luck. Excellent Condition. Great jacket by North Face. Great colour, design and fit. Three zipped pockets, zip fastening, adjustable hem pull cord. Great for outdoor active wear. The North Face Gilet Xxl 48. Condition is Used. Dispatched with Royal Mail 2nd Class. The North Face Men's Jacket Size M . Down filling. Condition is Used. The North Face Men's Fleece zip up jacket. Size men’s M. Condition is Used but great condition. Not worn more than couple of times. Zip povkets, polartec fleece. Dispatched with eBay delivery – Shutl 1 day. mens north face jacket size small. Condition is Used. THE NORTH FACE WINDWALL SOFT SHELL, BLACK, FULL ZIP JACKET SIZE XXL. It's the perfect jacket for spring showers. It has a zippered front with a snap-up stormflap and an elasticated trim to the hem, cuffs and hood, which is also drawstringed. 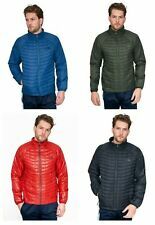 North Face goose down 700 jacket XXL. Condition is Used. Dispatched with Royal Mail 2nd Class. Attached hood. Classic Black with the Logo North Face. Internal zipped chest pocket. Exposed front zip and covered zipped hand pockets. I FORGOT TO PUT THIS IN THE ADVERT. As shown in the photos the North Face logo is coming away, there is a small mark on the arm and one cuff the elastic is coming through. This is reflected in the low starting price. North Face Jacket Size Xxl. summit series black right zip pull missing see pictures Condition is Used. Mens Green North Face Puffer Jacket Coat Medium. Condition is Used. Dispatched with eBay delivery – Shutl 1 day. 22’ pit to pit. In okay condition, it needs to be washed. Please see all the photos for the defects. NORTH FACE BODY WARMER/GILET! MENS M/L BLACK! COAT! JACKET! 44-46 CHEST VEST! Colour - Black. 100% Authentic. Mens black North Face Hyvent breathable and waterproof jacket coat M 42 "
I bought this jacket years ago when I was living in Scotland, but now I live in Devon so it's just not used. It's been used for many ski trips to France but only on evenings walking to a restaurant or pub, so it's in good condition. Black North Face Fleece Mens Size L. Worn once in excellent condition! too big for my hubby hence selling. From a smoke free and pet free home. The jacket looks great on and is full price in shops still. I will post within 2 days of payment. Mens Yellow/Black North Face Rain Coat Size Small. Condition is excellent as only worn a few times. Dispatched with eBay delivery – Shutl 1 day. Elastic cuffs. Fully adjustable hood stows in collar. Dual centre front storm flap with Velcro closure. Condition is Used. The North Face Tanken Full Zip Jacket gives you casual comfort and warmth on the trail or in the hills. Pit to pit 27”. This warm fleece works well when worn as a top layer or as part of the layering system. Mens North Face Evolve II Black Waterproof Jacket (L). RRP £200. NEW. Seam sealed, waterproof, and breathable. Two zipped pockets and two inside pockets. The North Face 550 Black Goose Down Puffa Jacket. Extra Large. Hood: Stowable in collar for multifunctional styling. Men's The North Face 700 Down Gilet. Blue. L.